Brief：China’s CCCC International Holding Ltd will buy Canadian construction company Aecon Group Incfor C$1.51 billion ($1.18 billion), including debt, in a deal that would require Canadian government approval. China’s CCCC International Holding Ltd will buy Canadian construction company Aecon Group Incfor C$1.51 billion ($1.18 billion), including debt, in a deal that would require Canadian government approval. CCCI, the overseas investment and financing arm of engineering and construction company China Communications Construction Company Ltd (CCCC), is paying 42 percent premium to Aecon’s share price on Aug. 24, a day before the Canadian company said it had engaged two financial advisers to explore a potential sale. CCCC is a publicly traded company in Hong Kong and in Shanghai and has more 118,000 employees. In 2015, CCCI acquired Australia engineering firm John Holland. China’s acquisition of Canadian targets hit an annual record of $21.2 billion in 2012, helped by state-owned oil firm CNOOC’s purchase of Nexen Energy for $17.9 billion that year, according to Thomson Reuters data. Since then, Chinese acquisition of Canadian companies has slowed after some members of the then-governing Conservative Party had misgivings about the CNOOC-Nexen deal. The government then said the CNOOC-Nexen was the last deal of its kind that it would approve, drawing a line in the sand against state-controlled companies taking any further majority stakes in the oil sands. While Aecon does not operate in a sensitive sector, the deal needs regulatory approvals under the Investment Canada Act, the Canadian Competition Act and from relevant authorities in China, the companies said. CCCI has agreed to keep Aecon headquartered in Canada and retention of Aecon’s Canada-based employees. The deal is expected to close in the first quarter of 2018, which would rank as the ninth biggest Chinese acquisition of a Canadian company, the data showed. 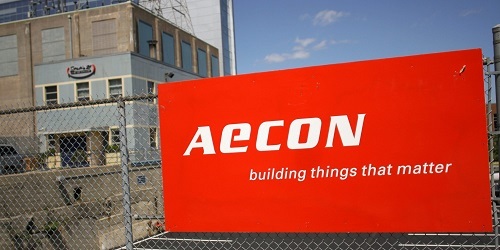 The transaction will help Aecon get access to capital to take up more larger and complex projects in Canada, the company said. 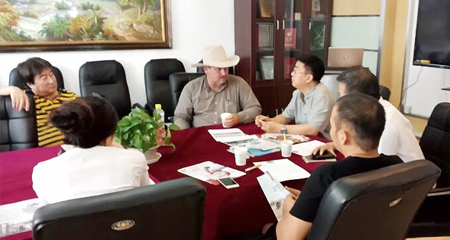 CCCI has developed several large and medium-sized ports and navigation channels along China’s coast and inland rivers and has actively participated in and competed for projects under external assistance and the international contracting projects. BMO Capital Markets and TD Securities are acting as joint financial advisors to Aecon. Barclays is acting as financial advisor to CCCI.